WHAT WORKS CITIES HELPS LOCAL GOVERNMENTS IMPROVE RESIDENTS' LIVES BY USING DATA AND EVIDENCE EFFECTIVELY TO TACKLE PRESSING CHALLENGES. Launched by Bloomberg Philanthropies in April 2015, What Works Cities is one of the largest-ever philanthropic efforts to enhance cities’ use of data and evidence. Cities across the country are more effectively driving change and delivering results for residents by participating in our What Works Cities Certification program, the national standard of excellence for data-driven, well-managed local government. The program is open to any city with a population of 30,000 or more. Our expert partners help local governments build the capacity and skills to use data and evidence to make more informed decisions, deliver more effective services and programs, and improve residents’ lives. This support helps cities advance toward achieving What Works Cities Certification. 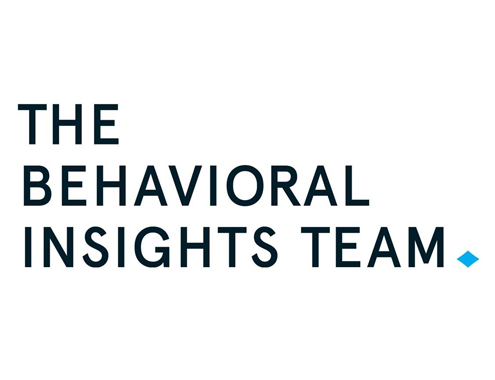 The Behavioral Insights Team (BIT) is a social purpose organization that helps governments around the world boost their impact through the application of behavioral science and rigorous evaluation techniques. As part of What Works Cities, BIT helps cities develop and evaluate ideas for improving government services. The Government Performance Lab at the Harvard Kennedy School conducts research on how governments can improve the results they achieve for their residents. An important part of this research model involves providing pro bono technical assistance to state and local governments. Through this hands-on involvement, the Government Performance Lab gains insights into the barriers that governments face and the solutions that can overcome these barriers. As part of What Works Cities, the Government Performance Lab supports cities in improving the results they achieve with their contracted dollars. The Center for Government Excellence (GovEx) at Johns Hopkins University helps governments use data to make informed, effective decisions that improve people’s lives. As part of What Works Cities, GovEx provides technical assistance and strategic training that enhances cities' capacities to leverage cutting-edge data management, performance management, and advanced analytics practices to improve outcomes for residents across all policy areas. Results for America (RFA) is helping decision-makers at all levels of government harness the power of evidence and data to solve the world’s greatest challenges. RFA's mission is to make investing in “what works” the new normal. As part of What Works Cities, RFA serves as the initiative’s lead partner, coordinating the work of all five partner organizations. RFA developed a standard of excellence for well-managed, data-driven local government through What Works Cities Certification. RFA also builds demand for this work across the nation, and provides a path to success for cities through staff and leadership development, a learning network, and other forms of support. The Sunlight Foundation is a national, nonpartisan, nonprofit organization that uses civic technology, open data, policy analysis, and journalism to make our government and politics more open, effective, and accountable. As part of What Works Cities, Sunlight helps cities craft meaningful and sustainable open data policies, and facilitate impactful use of open data by collaborating with their communities.